When a firm set up two websites that had names close to those of a competitor’s registered trade marks, it was making an expensive mistake, as a recent High Court decision shows. The legal battle took place because a translation service, which owns UK and EU trade marks ‘thebigword’, found that a rival translation service had set up two websites which incorporated ‘bigwordtranslation’ in their web addresses. They also used the phrase ‘the big word’ in the text on their website. The websites went live some time prior to 18 December 2014 and, after solicitors’ letters had been sent in February 2017, were taken down. The claim that the sites infringed the trade marks of the other company was not contested. The infringing company claimed that the sites had been registered for it by a third party acting autonomously and had generated no income or enquiries. During the exchanges, two further domain names were discovered that also infringed the trade marks. The defendant claimed in essence that the whole problem resulted from it having retained a web marketing consultant who had simply gone off and ‘done his own thing’. 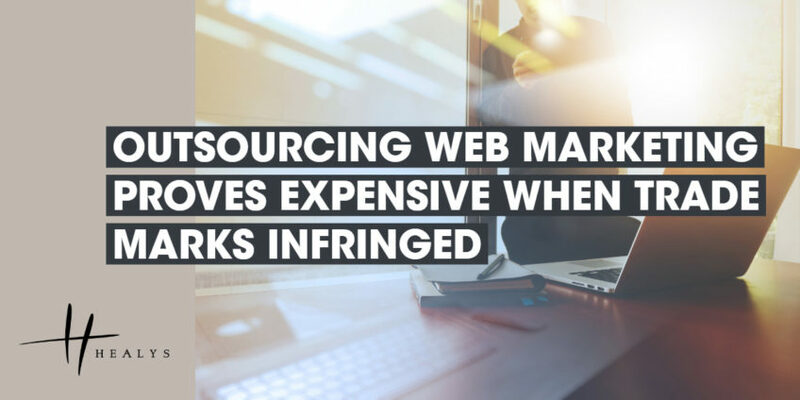 As well as arguing that it had made no income from the websites, the defendant company also argued that the trade mark owner had lost no sales as a result of its activities. Unfortunately for it, the judge found that its leading witness had produced ‘a tangled mass of contradictions, inconsistencies, unlikelihoods, implausibilities and untruths which obscured any truthful evidence he may have given such that I cannot identify it’. The result was an award of damages of £142,044 to the firm whose trade marks had been infringed. The case shows that if you outsource activities, it is important to ensure that you do so to reputable organisations with a proper understanding of the relevant legal considerations and have insurance that will cover you in case they cause a loss.